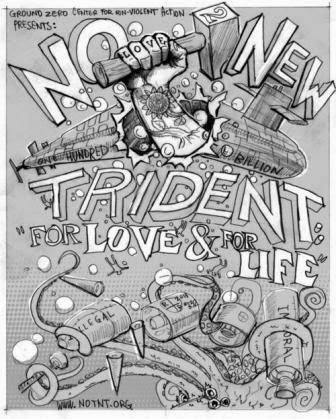 NO To NEW TRIDENT - For LOVE & For LIFE: Taxpayers do NOT deserve a useless $100 billion nuclear weapons system!!! Taxpayers do NOT deserve a useless $100 billion nuclear weapons system!!! 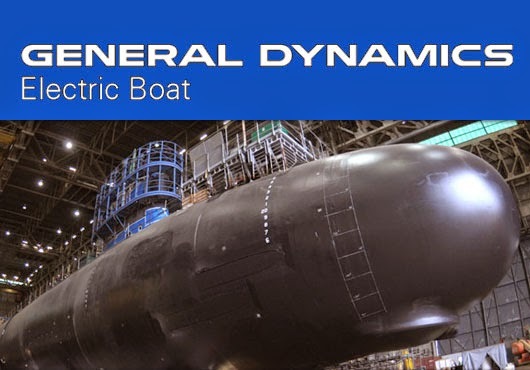 General Dynamics Electric Boat's Congressional delegation, along with the Navy's chief of naval operations, is pumping up the company's next generation ballistic missile submarine program. Ostensibly "analytically sound, technically sound, good engineering and a deliberate management process to bring the best cost-value that the taxpayers deserve [according to Adm. Jonathan Greenert]," New Trident is anything but "analytically sound" or anything remotely resembling "the best cost value that the taxpayers deserve." New Trident is quite simply PORK. It is a Cold War relic in search of a second life, and should it be reborn in its new incarnation, life on earth will certainly be threatened. Building a next generation first strike nuclear weapons system (and yes, Trident was originally developed to be used in a first strike capacity) will take the world down the rabbit hole of continued nuclear proliferation. Ballistic missile submarines are the newest must-have weapons systems for any nuclear nation, and the US (followed by Russia) is setting the example for the rest of the world. As for what taxpayers deserve, it is anything but a $100 billion ("$80 billion" is low balling it) nuclear weapon system that we can never use (unless we want to end life on Earth as we know it). This is fiscal insanity!!! While Sen. Richard Blumenthal and Rep. Joe Courtney think that New Trident will be the "linchpin of the nation's defense," it provides no defense at all. The doctrine of Strategic Nuclear Deterrence, upon which the US bet all its chips during the Cold War, cannot stand up to a thorough analysis in the new world order. It is dangerous to continue espousing such an archaic doctrine. The principal beneficiaries of this massively wasteful weapons program will be Electric Boat (and other contractors associated with the project), followed by their Congressional cheerleaders whose election coffers will benefit from the largess of companies like Electric Boat. The rest of us (taxpayers) will be left to foot the fill. We the Taxpayers of this nation do NOT deserve a useless $100 billion nuclear weapons system!!! It is time to challenge our members of Congress to cut wasteful military spending, and New Trident is an important place to start. Are any of your members of Congress up for re-election this November? Now is the time to call their offices and ask where they stand on New Trident. What will they do during the lame duck session after the election - cut funding for New Trident or make sure it is fully funded??? 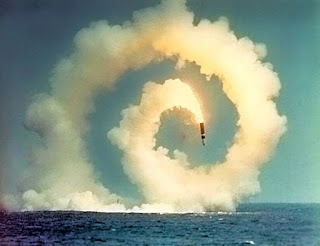 And just who will we launch those Trident II D-5 missiles against when push comes to shove?!?!?! Click here to get phone and email contact information for your Congress members. Read on for the full article (appropriately located in the "Local Business" section of The Day Connecticut) from which I pulled the quotes used above. And then, make that phone call or send that email!!! Groton — Members of Connecticut’s congressional delegation vowed Tuesday to continue to press for funding for the nation’s next-generation ballistic-missile submarines, calling the $80 billion program a linchpin of the nation’s defense. Sen. Richard Blumenthal and Rep. Joe Courtney, along with Adm. Jonathan Greenert, the chief of naval operations, received updates on the program in a briefing Tuesday at Electric Boat. EB is expected to begin detailed design work for the new sub — which will replace the Navy’s aging Ohio-class boats — in 2017. The first of the 12 boats would begin patrolling the world’s oceans in 2031, four years after the Navy’s 18 Ohio-class submarines, which carry Trident missiles, begin retiring. Blumenthal and Courtney said the timing was critical. “There’s really no margin for error here in terms of any delays that might be thrown out there for budget reasons,” said Courtney, D-2nd District. “Obviously, we’ve got to go back and get this done during the lame duck session” that begins after the November mid-term elections. The House approved the annual defense-authorization bill in May, but the Senate has been slow to take it up. Blumenthal, a Democrat, said Senate leaders were committed to bringing it to a vote before Congress adjourns for the holidays. Both measures include language for the new submarine class that “absolutely hits the mark … in terms of keeping the project on track,” Courtney said. Construction of the new ballistic missile boats would begin in 2021. The submarines will take seven years to build, followed by three years of testing, according to EB. “This is analytically sound, technically sound, good engineering and a deliberate management process to bring the best cost-value that the taxpayers deserve,” Greenert said.